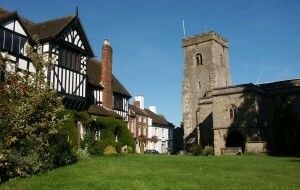 Shropshire is England’s largest inland county and the most beautiful and unspoilt part of Britain you could imagine. 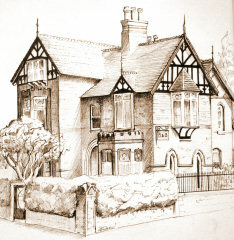 Take some time to explore our spectacular countryside and historic towns, visit the remains of Roman Cities, Medieval Castles and Abbeys plus magnificent houses and gardens, all within easy reach of Ferndell bed and breakfast. 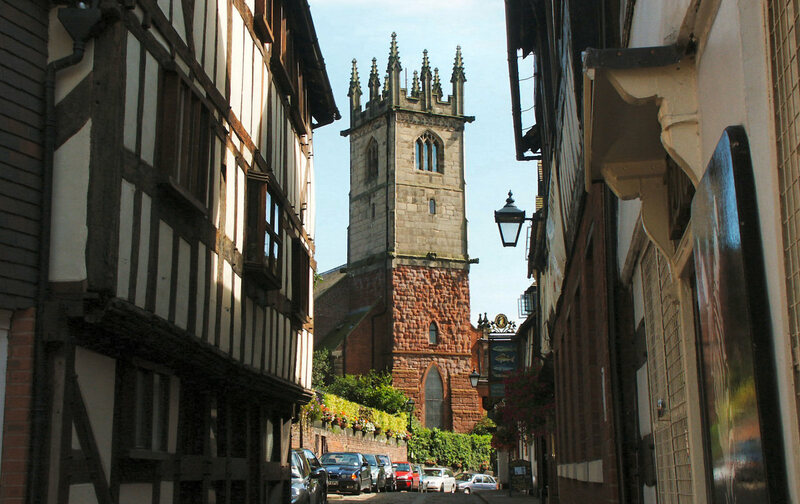 The county town is famous for its mediaeval buildings including Shrewsbury Abbey (home of the fictional Brother Cadfael) and the castle. The historic town centre is a shopper’s heaven packed with designer shops and an amazing range of independent retailers, plus all the bars, cafes and restaurants you could ever wish for. 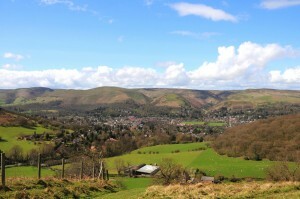 The market town of Church Stretton offers a variety of small shops, café and pubs. Overlooked by the magnificent Long Mynd ridge, the town is known as the gateway to the Shropshire hills. Birthplace of the modern Olympic Games, the small “black and white” town of Much Wenlock is also home to the spectacular ruins of Wenlock Priory. The World Heritage Site of Ironbridge & the Ironbridge Gorge are just a few miles away. 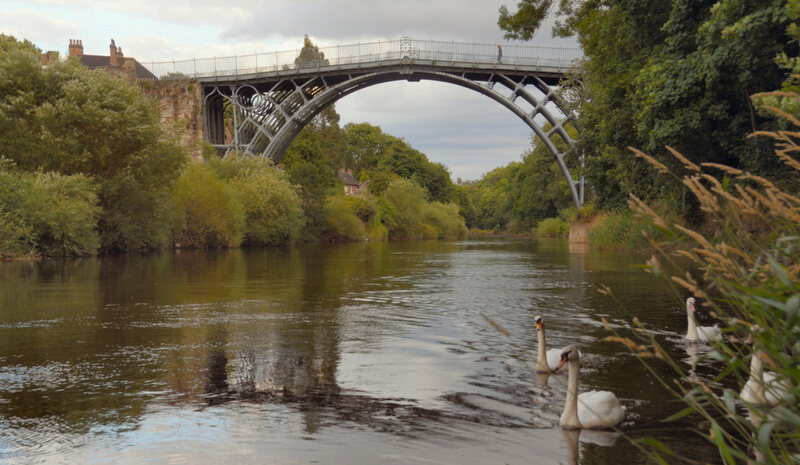 Remnants of industrial heritage exist in the form of the 10 Ironbridge Gorge museums, including the amazing Blists Hill Victorian town. 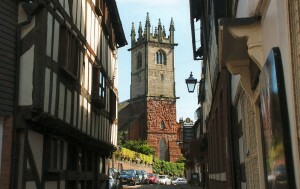 The castle dominates this medieval market town, famous for its selection of fine restaurants and annual arts festival.